So it was Mannequin 5 SP again. I just watched the show here but the video decided to stop just when they have moved to the studio for the voting. 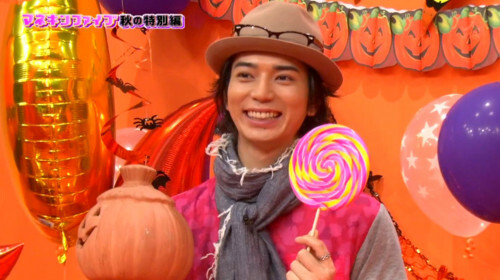 The clips on the boys going out to choose their outfits were funny though and I noticed my ichiban, MatsuJun got a lot of laughs with his quips. He wanted to be kira kira (sparkling)? Here are the outfits that viewers voted on. 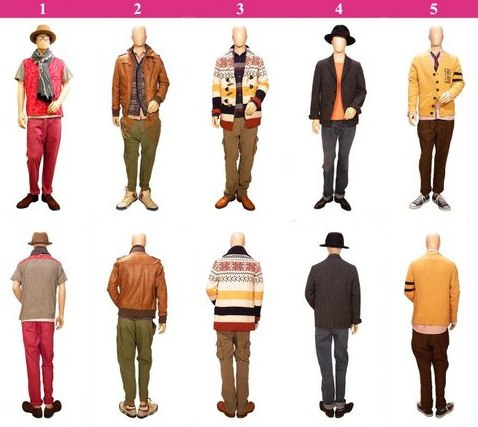 I don’t know… but I found MatsuJun’s outfit acceptable compared to the winner, Sho-kun (#3).My problem with Sho-kun’s outfit was more the cardigan. It looked hefty on him and it was tacky as a Christmas decor in the middle of fall and it didn’t work well with his plaid top. Hello, print and print is a big no-no. But well, that’s just me. I like Nino’s (#2) and Aiba’s (#5) outfits. 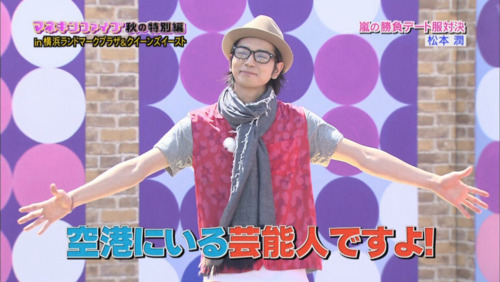 Aiba looked preppy. 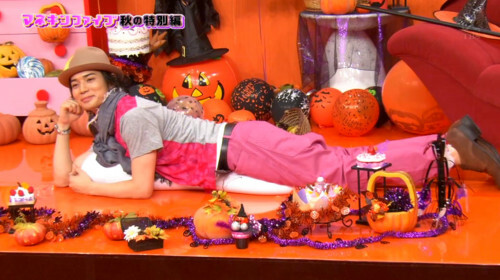 I’ve always liked Nino’s fashion sense though–except for those colored stockings that he loves to wear on VS Arashi. But he can carry it so why not. Ridaa’s (#4) top is kind of loud for me. 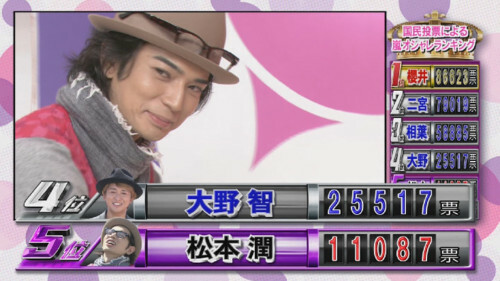 Back to MatsuJun, the problem was the pants. He looked so red… like a cherry topping on ice cream or a candy. Perhaps if he wore jeans or khakis, it would have worked better. And so, he got the lowest votes. Those who voted were obviously not a fan of the loud colors. And his shame billboard will be displayed in Tokyo for everyone to gawk at. Photo opportunity, fan girls! You gotta admit it, the boy can preen. Reblogged this on I'm not lost, just undiscovered.